Parking available on the street or with our Hotel valet. The Copper Chimney Restaurant & Bar is available everyday for lunch and dinner buy-outs and private events. 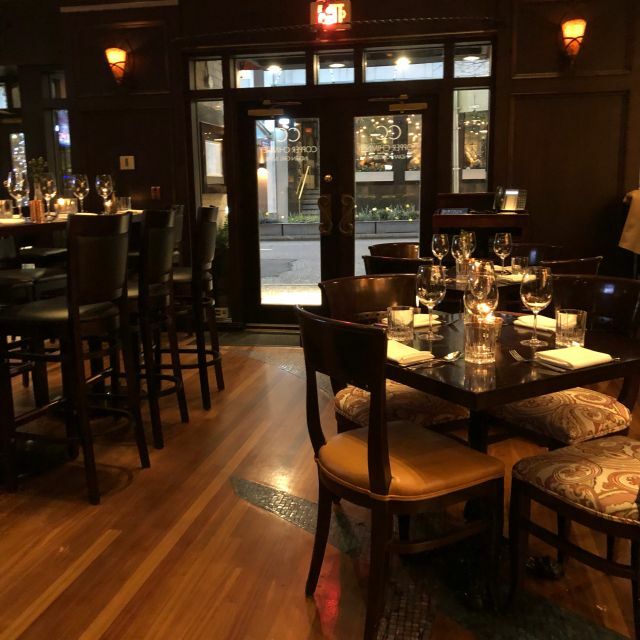 Located in downtown Vancouver, it is an ideal venue for special occasions, intimate dinner parties, grand affairs, and private dining experiences. Copper Chimney Restaurant & Bar will ensure your event is tasteful, elegant and memorable. The Copper Chimney Restaurant & Bar is one of Vancouver’s premier restaurant and lounge experiences offering contemporary Indian inspired west coast cuisine within a stunning room that combines rich vibrant colours, exotic millwork, Murano glass chandeliers and floor to ceiling painted murals. 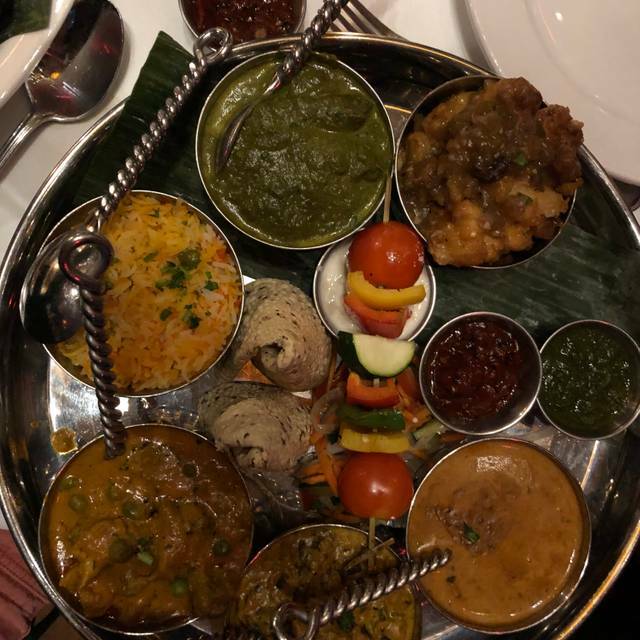 Located in the Hotel Le Soleil, in the heart of Vancouver’s entertainment and financial districts, the executive chef and his talented team will prepare dishes combining the freshest of seasonal ingredients with exotic spices, delivering memorable tastes of some of India’s finest flavours. Creating perfect harmony between distinctive flavors, sophisticated textures and artful presentation, our Chef offers the finest representation of West Coast cuisine with undertones of West Coast and Indian flavors. Copper Chimney Classics include signature dishes such as Butter Chicken. A variety of options await you at Executive Hotel Le Soleil. Whether you are planning a board meeting, private dinner or reception we have a space to suit every occasion. Hotel Le Soleil boasts two meeting rooms, private dining area, penthouse hospitality suites as well as restaurant buyouts. 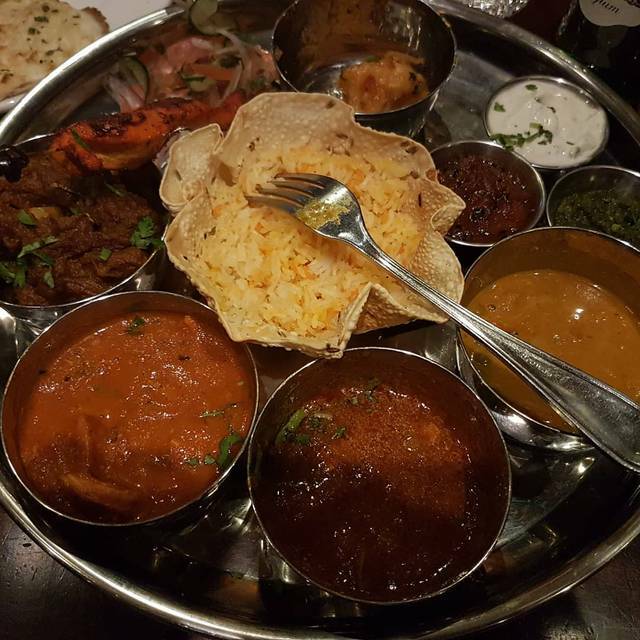 Outstanding Tamil food in a beautiful, relaxed setting. Try the Tahli platters! From the moment we arrived for our rezzo, Sid (the manager) was all-welcoming! The space is beautiful, dimly lit, and spacious so that tables still have privacy for conversation. The menu was filled with delicious entrees, and the kitchen team was fantastic at their craft. I tried my first “gin sour” as per recommendation, the Empress Gin was a delightful treat. We celebrated my daughter’s fourth birthday this particular evening, and they made sure to treat my little one with an amazing candle lit dessert. I’d highly recommend this spot to all lovers, AND newcomers to Indian cuisine! Thanks again, Sid! Delicious food and friendly service. Beautiful atmosphere. Highly recommend! My friend and I each ordered a assortment dish to try various items. It was served in one big container. They only had 3 small wedges of Naan bread, which I wondered how they figured 2 orders equaled 3 pieces of naan. The server asked if we'd like more bread and we said yes. We were given 4 small wedges of Naan and charged $5. I felt the food was over cooked and only really liked the chicken. 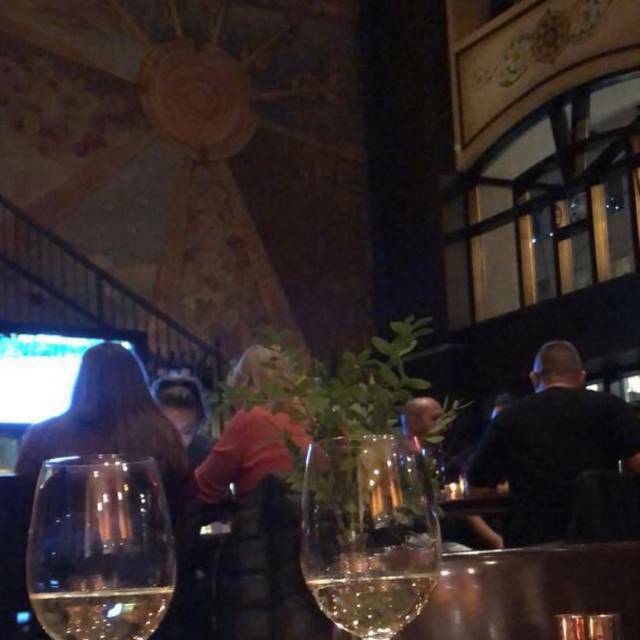 This has been our third visit to Copper Chimney over the years and we were not disappointed! The occasion was the visit of our daughter attending a conference in Vancouver over this weekend. 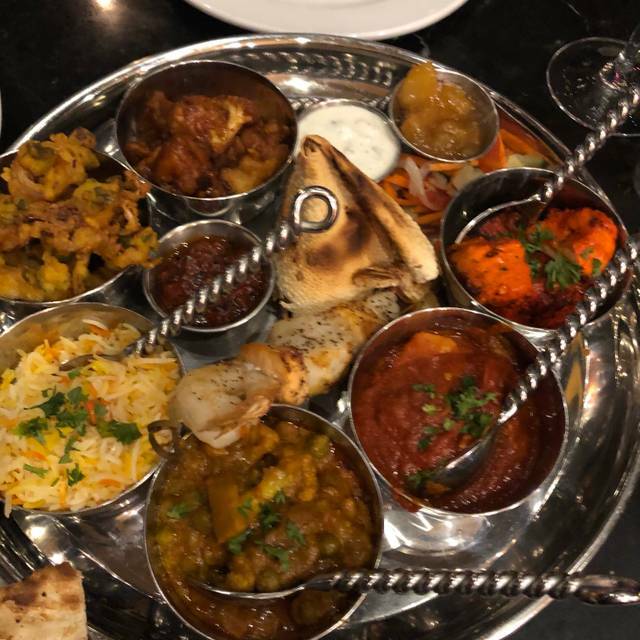 We ordered the tandoori platter. The meal was a delight to the palate as we sampled the salmon, prawns, chicken & kebabs. For a starter we had the calamari kaporas which were light, airy and crunchy. Deserts were delicious: macaroons and an Indian spiced creme brulee. To accompany the previous was a bottle of Luigi Bosca malbec from Argentina. We had a 7:15pm reservation but left a few hours later. The ambiance was mellow as I suspect a lot of people were at the Canada Rugby 7s. Our service by Mark was excellent and he even had time for a bit of non-food related conversation. A good evening of food and company! Great food and ambiance. Excellent choice for business lunch or a meet up with friends. The server gave us an excellent dining experience. The cuisine was perfectly spiced and presented. This was my second visit to this beautifully decorated, friendly, upscale, restaurant. Looking forward to my next indulgence. For the money I would venture elsewhere. Just ok Indian fare but a nice place in a good hotel. Food was awesome as well as the service! Breakfast was good. My husband had “The Belt” which was the best tasting and most filling. My kid’s had their delicious pancakes. My omelette was served with a salad. I love salads but my taste buds weren’t prepared for salad in the morning. Omelette was small. Nice service. Just an absolute delight to have this kind of dining in our hotel. Food was good and service was great, was very empty when we got there. Thank-you for the note Jessica, we're sorry that the request was overlooked while you were being sat. I will be sure to remind our team to check the notes on reservations more carefully. I do hope to welcome you again someday to your preferred seating and please ask for me next time so I can be sure to personally make sure you receive a perfect experience. - Pat Griffin. It was an experience of a lifetime! 10/10 everything! Thank-you very much for the kind words, we are so glad you enjoyed your time with us and hope to have you back again. Thank-you very much for your comments we are so glad our hard work was evident. We will share you comments with everyone here and look forward to welcoming you again. After waiting more than 30 minutes to get seated. They put us in this awkward table in the corner... beside the door, in the hallway and the bar behind us. We asked to be moved so after another 30 minutes we got better seats.... ordered food and 1 bottle of wine and almost 1 hour later our food finally came out. The wine was gone before any appys or food in our table. Food was ok but to charge $8.00 for mixed vegetables- sautéed beans and onion is unreal. Ambience was nice but if you want Indian food. There’s better place out there !!! Definitely won’t come back. We are sorry to hear of your experience and it is certainly not one we aim to provide. Thank-you for this important feedback. We are sharing with our team as a way to improve. Beautiful design, great food and service. The wine was excellent. Recommend for couples, romantic dinners, business lunch/dinner. Thank-you very much for the feedback we appreciate your comments. We are disappointed and sorry to hear about your experience. Thank-you for sharing your comments so that we can use them to improve. Thank-you for the kind words. We appreciate the feedback and have shared with our hard working team. Food was awesome! Salmon and lamb were tender. I loved the tandoori prawn - had a kick to it. But the menu was hard to read. It was too dark and the prints were too small to read in the dark. Had to squint to read the menu. Waitress was very nice and attentive. Service was amazing. But we can tell she forgot to include 1 order that didn’t come out with the other 4 dishes. Maybe if she repeat the order? But I would still give her 5 star for her service! Fantastic. Delicious not to be matched. Please go and enjoy! NYE set menu. 4 courses. Very nice. We had a very nice meal for New Year. The food and service we excellent. Really poor. I went by myself for dinner on Christmas Day, made a reservation. When I got there the only two tables they would offer were right beside the front door, very chilly, constantly noisy with people coming and going. There were other tables available and did not fill up in my entire time there(1hr 20 mins). I ordered the set 3 course menu special for Christmas (79.99) a glass of persecco (8.99) and samosas (14.99) to start. The samosas were overcooked in phylo pastry, not good flavour. The Christmas dinner consisted of a bowl of mushroom soup, Turkey roulade with mashed potatoes, rice stuffing and barely cooked carrots (couldn't even stab with a fork). Dessert was a pear cake/pudding with ice cream. To make matters worse as I'm Sitting there eating I watch a waiter take two plates of food all the way from the kitchen upstairs, placed down on the table, can see the people saying it wasn't what they ordered. Back come the two plates all the way from upstairs back to the open kitchen. I then watch the exasperated looks from the kitchen staff. Another waiter makes it known that those plates were for her table. They get popped under the salamander for 10 secs and then were taken out to ANOTHER table! GROSS! Won't be back, will be warning all my friends and co-workers! The food was excellent. The service was good. They sat us right away. Great for casual dining or a special occasion. Really great Christmas evening dinner. We were visiting from out of town and this was a great eve Ing with family. Beautiful place. Friendly helpful staff. The best Indian we have ever eaten. The heat was perfect. As I spent Christmas Day alone this year, i would like to thank your staff (Vadim and the girl from Mexico) for their attention and good care of a lone female in a very busy environment! I talked briefly to your chef and I thanked him for the delicious Christmas Day meal ! The dessert especially was unique and tasty! Great place for happy hour - very comfortable seating! As always the food and service was excellent. The staff went above and beyond to ensure we were looked after. 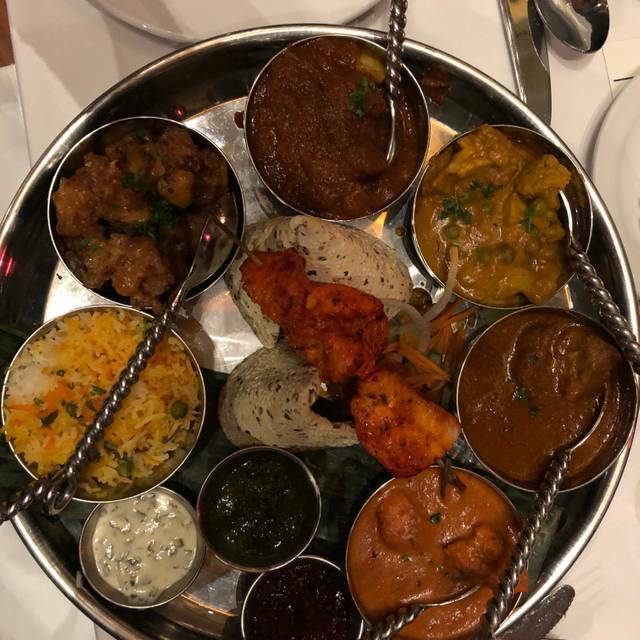 We (4) all ordered the Tandoori platter. Plentiful amount of meats on the platter and all varieties were excellent, perfectly spiced. However the amount of vegetables served was very small. The salad was nothing more than a garnish and we were served only two small skewers of grilled vegetables as well as one very small bowl of rice. That was disappointing and would incline me not to return. Awesome service. Great recommendations and excellent food. Our family came for Sunday brunch. Great service, yummy eggs Benedict! We will be back. 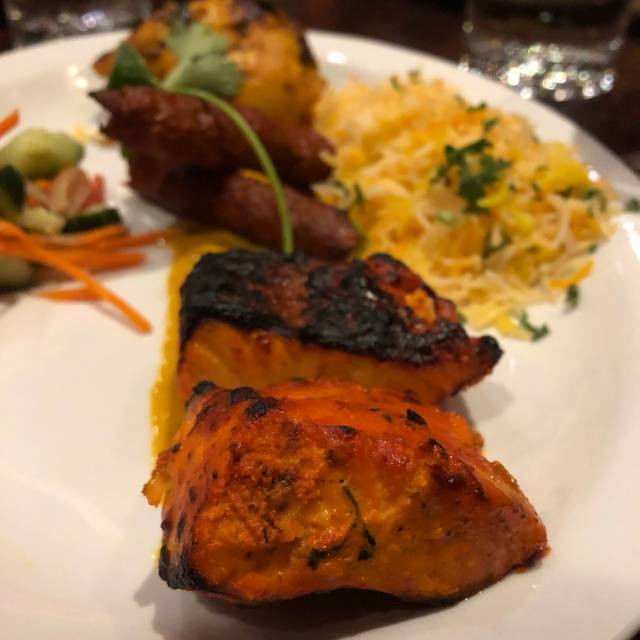 Great ambiance, tandoori platter was decent and provided a sample of all their tandoori specialties - salmon, prawns, lamb and chicken kebabs, chicken with garlic naan and rice and small veggie skewer. Service was good and unpretentious.